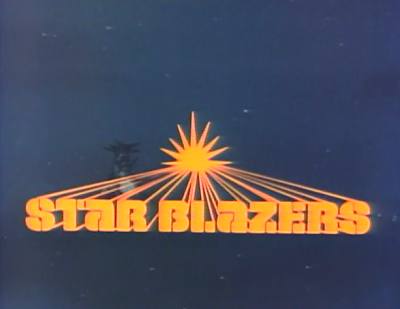 The eighth episode of the animated series Star Blazers (1979) continues the story-line commenced in the previous installment. Specifically, the Gamilons have used their powerful new weapon, the Reflex Gun, to disable the Argo and send it sinking to the bottom of an ocean on Pluto. 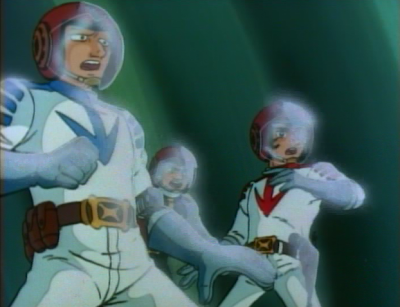 In this story, Captain Avatar plans to strike back by using the Gamilons’ reflective satellites against them. When the Reflex Gun fires once more, the Argo personnel are able to use the satellites to determine its position (under an ice field on Pluto…) and launch missiles to disable it. Meanwhile, Wildstar commands a dangerous mission to the Gamilon base and meets the first non-aligned aliens in the series: Pluto’s cute Protozoa creatures, who “feel like slippery grape gelatin.” The alien creatures look like the Blob, only with eyes. These aliens aren’t advanced, and perhaps lack much more than rudimentary intelligence. They are put to sleep with harmless gas so Wildstar can gain access to the enemy headquarters. Once inside that base, Wildstar must avoid booby traps and blow up a reactor, thereby destroying the threat to Earth from additional planet bombs. Victorious, Captain Avatar declares “And now…onto Iscandar” with just 354 days remaining until Earth’s destruction. 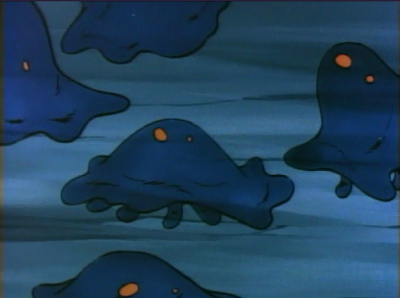 In a deliberate mirror image of that victory, Desslok orders his defeated forces on Pluto not to return to Gamilon until the Star Force is destroyed. As I wrote about in regards to episode seven, Star Blazers has become a fairly formulaic show, featuring strategic move and counter-move, but with little forward momentum and almost no character development to go along with the pitched battles. I’m hoping it’s just a rough patch here, because this has only recently become the case. I’m hoping this is the last “Gamilons test new weapon on Argo, which ekes out a surprise victory” story for a while. When I watched the series as a kid, I don’t remember it being a military war show to the exclusion of every other consideration. Hi John, me again. 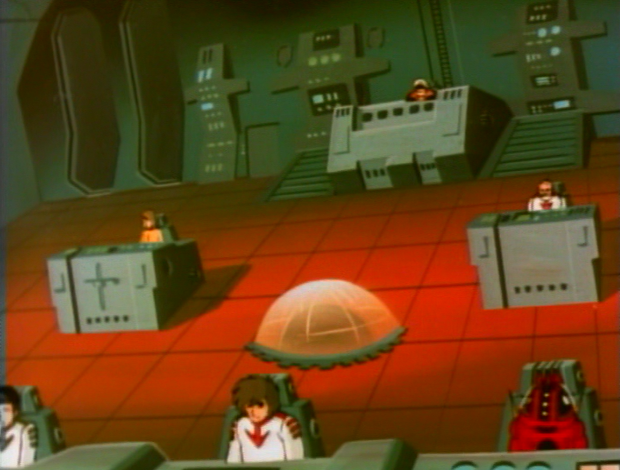 I think that this Star Blazers episode #8 finally gets the journey to Iscandar underway after the problems in the solar system have been best resolved.